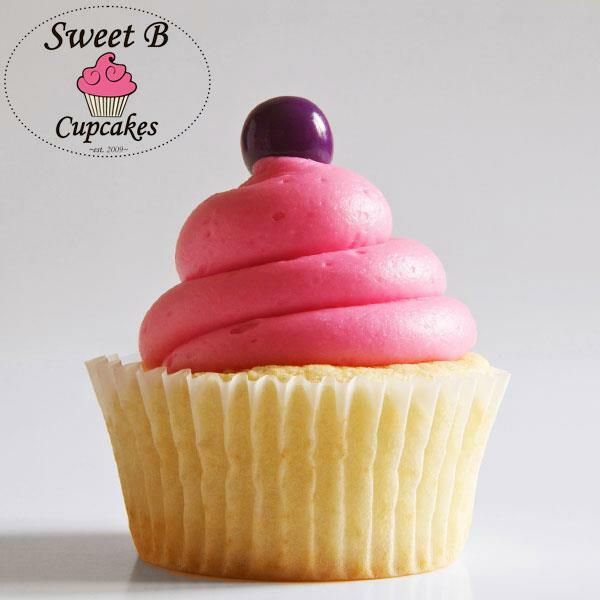 These colorful cupcakes are by Sweet B Cupcakes in Coeur d'Alene, Idaho via their Facebook page. They're open Christmas Even from 9:30 am to 1 pm. 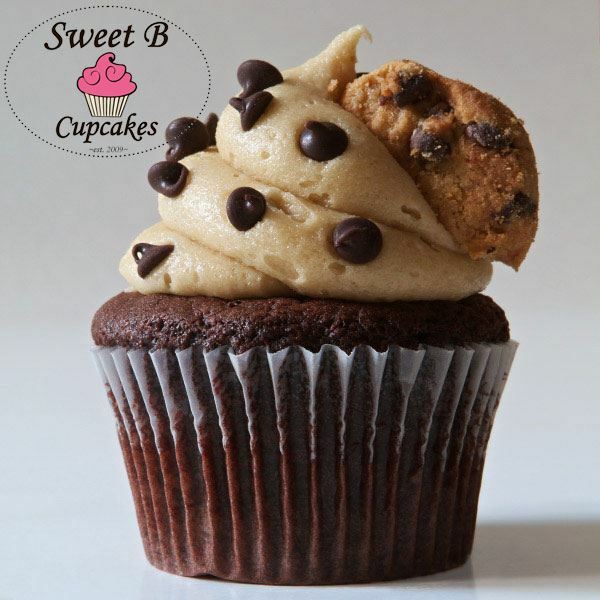 They're located at 501 Sherman Avenue and can be reached at sweetBcupcakes at gmail.com or 208-704-2506. 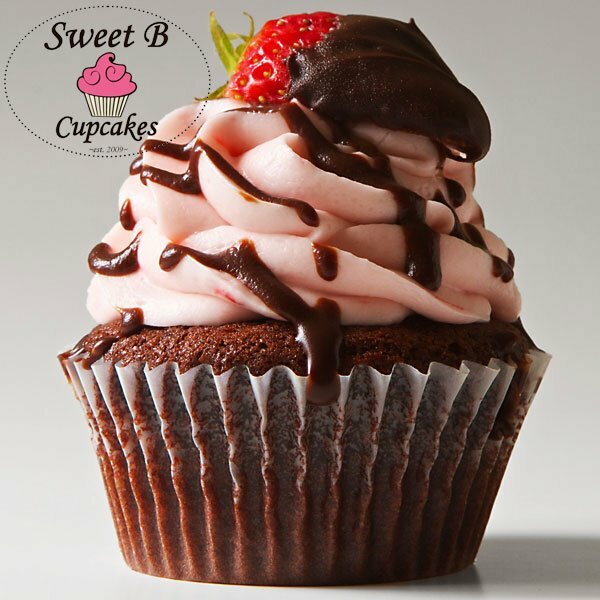 Find out more at sweetbcupcakes.com. 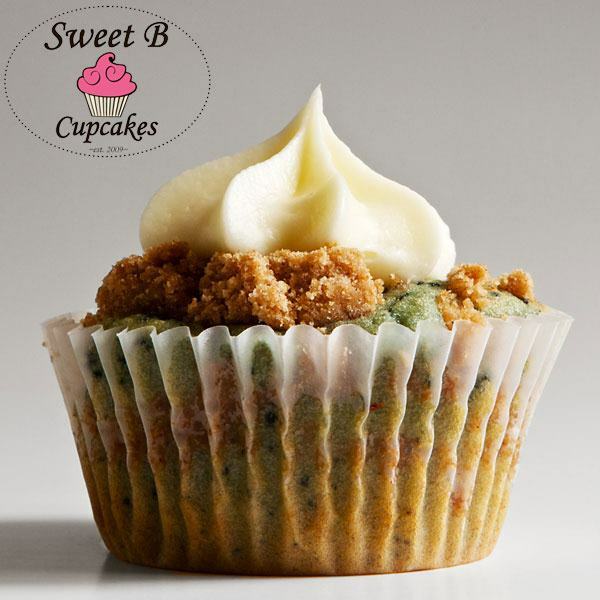 Blueberry Struesel cupcake: "Blueberry coffee cake base with a crumbly streusel top, topped w/ a milk and sugar glaze." 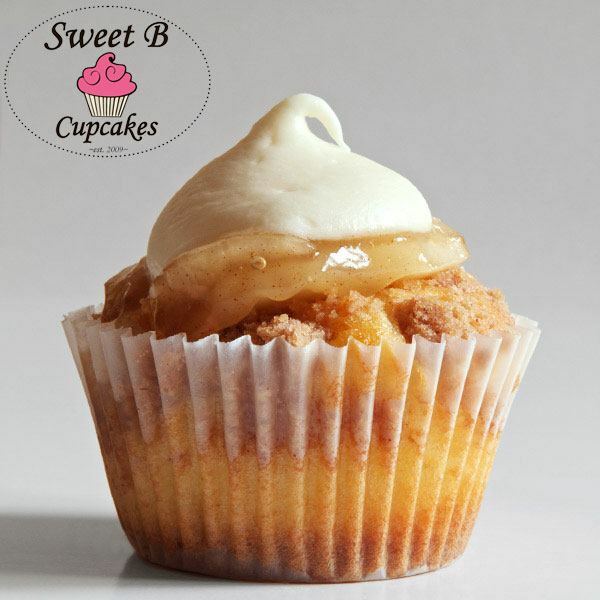 American apple pie cupcake: "It's a moist vanilla cake topped with a cinnamon streusel crumble filled with real apple pie filling! All this atop a Graham cracker crust." 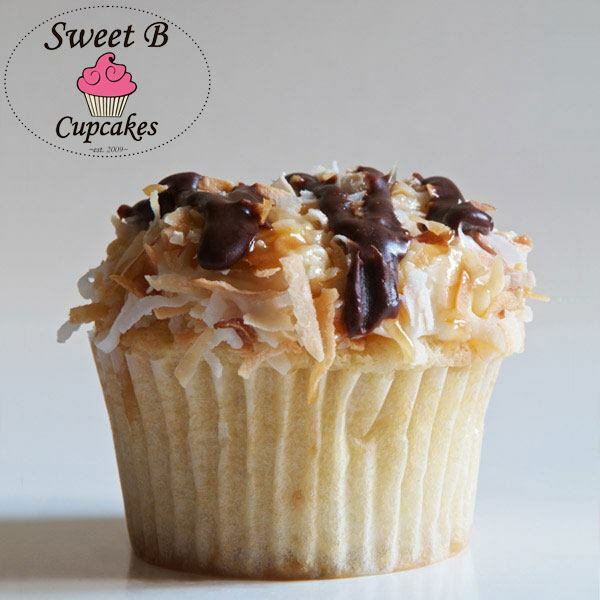 Samoa cupcake: "A sweet coconut cake filled with caramel topped with a coconut butter-cream, toasted coconut and a chocolate and caramel drizzle." 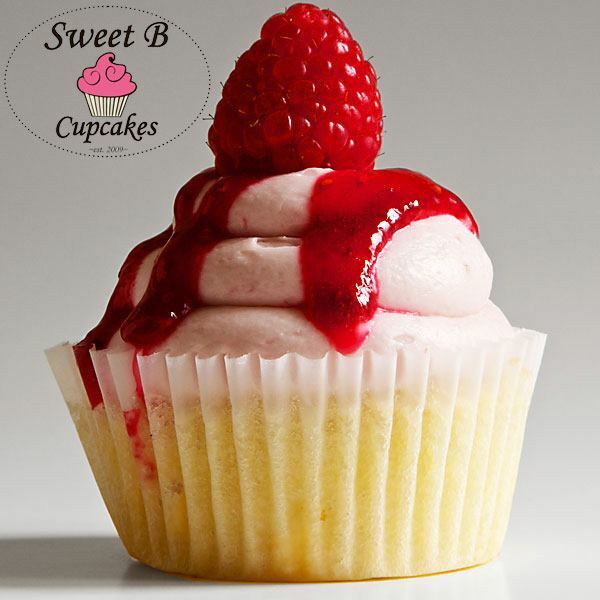 White chocolate raspberry cupcake: "Moist vanilla cake stuffed with white chocolate morsels topped with raspberry butter-cream, finished with a white chocolate dipped raspberry, then drizzled with raspberry"
Half Baked cupcake: "A moist chocolate cake with cookie dough frosting topped with a chocolate chip cookie." 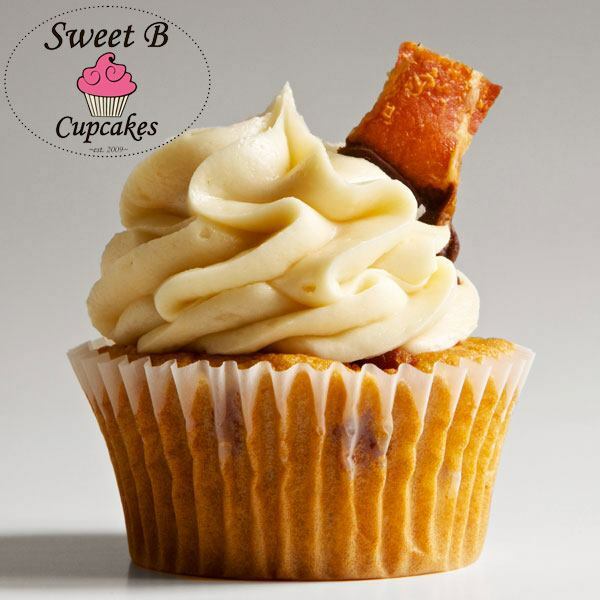 Last but not least, Chocolate Affair cupcake: "Maple buttermilk pancake cupcakes w/ maple butter frosting topped with a chocolate cover bacon piece." Best variety of elaborate cupcakes I have ever seen! My mouth is watering.